The American Crafts council gave artists forty vintage photos to recreate into art work. Before I started the project I had preconceived notions of how to use the photographs. 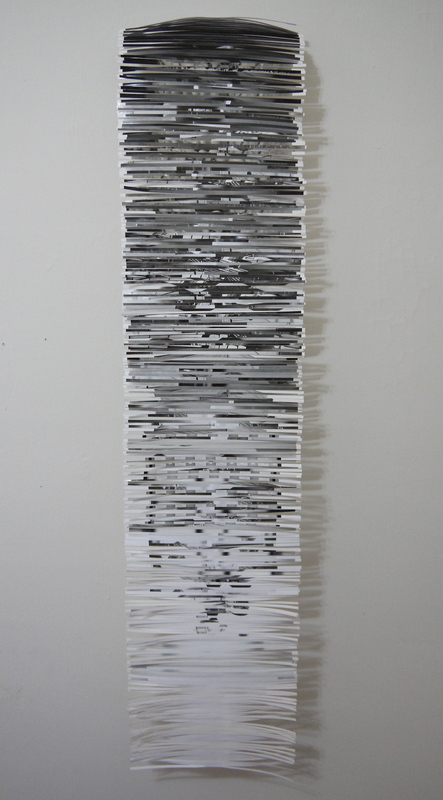 However once I received them, I was drawn to the proportions and texture in Ann Pixley’s handmade paper piece. The project developed into a 3 stage exploration; archiving, recording, residual. The project made me consider the process of archiving. 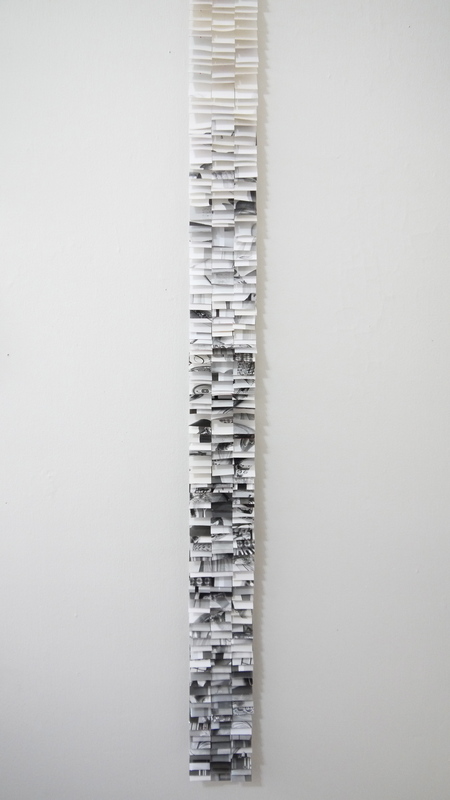 Ann Pixley’s piece felt pertinent to this theme with her use of ‘tags’. I decided to create a modern interpretation of her element by cutting all the photographs into tag shapes. Systematically grouping the tags into light, medium and dark created parameters which formed abstract images. I found myself inspired by the off cuts from ‘Tagging’ and made narrow strips. I used the same formula of grading the pieces light, medium and dark. I applied them to a strip of mylar to create the work, giving it a woven fabric like quality.